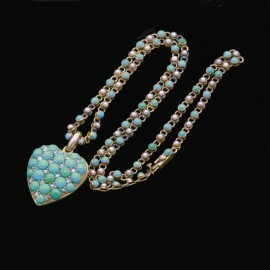 Turquoise Jewelry There are 49 products. 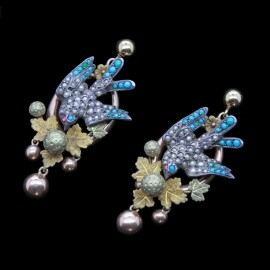 Antique Victorian earrings / ear pendants. 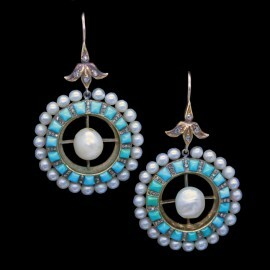 18k gold, turquoise, pearls. 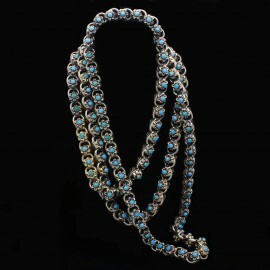 Made circa 1850-80. French. <P><P>Measurements: Combined weight is 15.7 grams. Length a little over 2 inches (5cm). <P><P> for Full description, please see below. 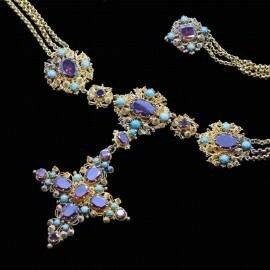 Antique Victorian brooch / pendant necklace. 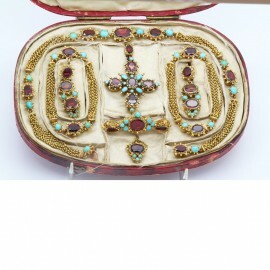 15ct gold, turquoise, diamonds, rubies. 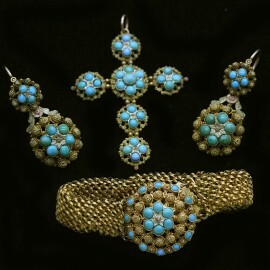 Made in England circa 1840-80. <P><P>Measurements: At widest part measures 4.2cm (a tad under 1 3/4 inches). Weight is 16.4 grams. <P><P> For full description, please see below. 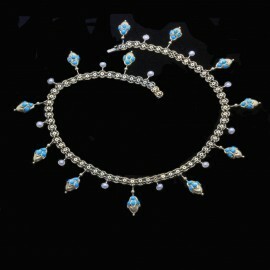 Antique Victorian fringe necklace. 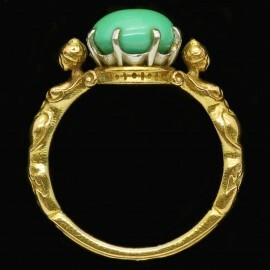 14k yellow gold, pearls and turquoise. Origin unknown. 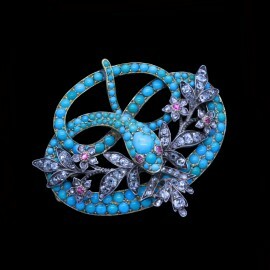 Made circa 1870-80. <P><P>Measurements: Approximately 15 inches (39cm) long. Distance from top to bottom of drop approximately 1 inch (3cm). Weighs 32.3 grams.<P><P> For full description, please see below.